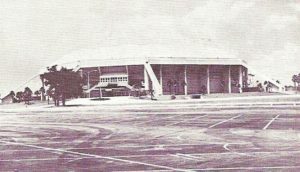 Completed on November 29, 1980, the Sun Dome in Tampa, Florida is a multipurpose sports and entertainment facility on the campus of the University of South Florida. In addition to serving as the home for many of that university’s sports teams, the 10,000-seat Sun Dome hosts around 300 different events per year. 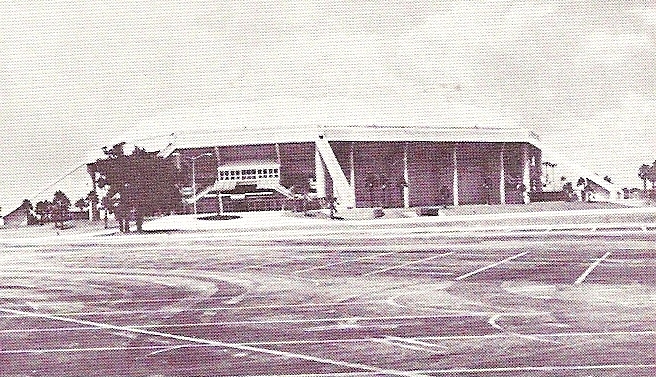 The Sun Dome was built at a cost of $12 million and was Florida’s largest indoor arena until 1996. It was also one of the few arenas in the United States with an inflated roof. Johnson Controls installed the controls for the roof inflation static-pressure system, which kept the roof aloft and stable, as well as the temperature control system. In 2000, the inflated fabric roof was replaced by a Teflon-coated roof supported by a steel space frame that peaks 115 feet above the arena floor.